The Diabetes Control and Complication Trial (DCCT) demonstrated an approximately 50 percent reduction in eye, nerve, and kidney complications with intensive treatment for hyperglycaemia and greatly increased interest in reducing blood glucose concentrations to normal in patients with diabetes . However, no certain and consistently reliable means of achieving this goal are currently available. This topic will briefly review the history, techniques, and clinical results of pancreas and pancreatic islet transplantation in hyperglycaemic patients with long-standing type 1 diabetes mellitus, with a focus upon transplantation of pancreatic tissue alone. Combined pancreas-kidney transplantation is discussed separately. Pancreas transplantation was first used for the treatment of diabetes in humans in 1966. The rates of graft and patient survival were low; as a result, very few procedures were performed in the early to mid-1970s. The subsequent introduction of better immunosuppressive regimens (particularly cyclosporine and anti-T-cell antibodies), new surgical techniques, and the selection of healthier recipients resulted in markedly improved outcomes. As a result, the number of pancreatic transplantations has steadily increased each year. In 2006, approximately 1400 procedures were recorded, 14 percent of which involved the pancreas alone (without a kidney transplanted before or at the same time as the pancreas). The mortality, morbidity, and results of transplantation vary with operative experience and patient selection. The following overall outcomes are based upon 2006 data:. Patient survival rates ranged from 95 to 97 percent at one year, 91 to 92 percent at three years, and 84 to 88 percent at five years post-operatively. The majority of deaths were due to cardiovascular disease, and usually occurred more than three months after discharge from hospital. Pancreas graft survival (defined as total freedom from insulin therapy, normal fasting blood glucose concentrations, and normal or only slightly high A1C values) rates for simultaneous kidney-pancreas procedures were 86 and 54 percent at 1 and 10 years, respectively. 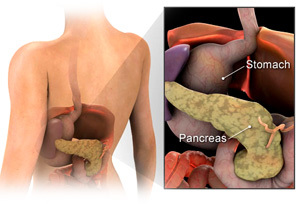 For pancreas alone, the rates were 80 and 27 percent at 1 and 10 years, respectively. The graft survival rate of pancreas transplantation alone is lower than that for kidney-pancreas transplantation because, at least in part, of the lack of a marker for pancreas rejection that is as sensitive as serum creatinine as a marker for kidney transplant rejection. Thus, rejection is more difficult to detect with pancreas transplantation alone and anti-rejection therapy is initiated relatively later. 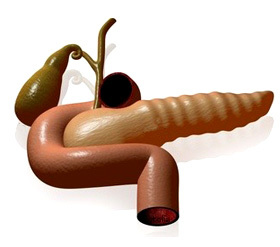 It has been reported that in patients with preserved renal function, survival after pancreas transplant may be worse than for patients on the waiting list receiving conventional therapy for diabetes. This was reported in a retrospective study of 11,572 patients with diabetes on a waiting list for pancreas transplantation (pancreas-only, pancreas-after-kidney, or simultaneous pancreas-kidney). However, these data should be interpreted with caution, as there could be important differences between the group transplanted with a pancreas alone and those on the waiting list (who may turn down a pancreas if feeling well). In addition, some patients from the waiting list group were counted more than once because they were registered on more than one list, and 8 percent of patients on the pancreas transplant waiting lists were removed from the waiting lists and underwent a kidney transplant first, because of deteriorating kidney function. These differences could have biased the outcome of the study in favor of those on the waiting list. In a subsequent analysis that eliminated these multiple listings, there were no significant differences in mortality rates between patients on the waiting list and those receiving pancreas-after-kidney or pancreas-alone transplants. Most pancreatic transplants are performed in diabetic patients with renal failure. In these patients, the objectives are to restore glucose-regulated endogenous insulin secretion, arrest the progression of the complications of diabetes, protect the transplanted kidney from hyperglycaemia, and improve quality of life. Once these indications are met, the pre-transplant screening for cardiovascular disease is the same as for combined kidney-pancreas transplantation. The technique used for pancreas transplantation is the same whether or not a kidney is transplanted into the pelvic area at the same time. In the most common procedure, a whole pancreas, still attached to a small portion of the duodenum containing the ampulla of Vater, is taken from a cadaveric donor. The pancreas is placed laterally in the pelvis, with arterial anastomosis to a branch of the iliac artery and venous anastomosis to a branch of the iliac vein, which results in secreted insulin appearing first in the systemic, rather than the hepatic portal, circulation. A modification to this approach includes portal rather than systemic drainage of the endocrine pancreas. The duodenal segment is connected to the urinary bladder or to a loop of bowel, which receives the pancreatic exocrine secretion. Bladder drainage has the advantage of providing a means to monitor urine amylase concentration to help detect allograft rejection. The native pancreas is left intact. Although most patients receive a pancreas from a cadaver donor, occasional patients receive a segment of pancreas donated by a living-related donor who is willing to undergo a hemipancreatectomy. Despite a diversity of protocols, most recipients of pancreatic transplants receive monoclonal or polyclonal anti-T-cell antibodies at the time of surgery and chronic immunosuppression therapy consisting of a calcineurin inhibitor (cyclosporine or tacrolimus) and an antimetabolite (mycophenolate mofetil or azathioprine). With the availability of new immunosuppressive drugs, some centers are currently performing pancreas transplants without antibody treatment, and avoidance of glucocorticoids is increasingly common. 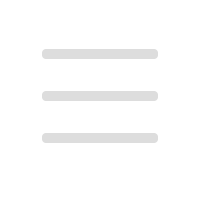 Details concerning immunosuppressive regimens are discussed elsewhere. The causes of pancreas transplant loss vary with the time after transplantation. Early graft loss, defined as loss occurring within hours or days after surgery, usually results from thrombosis, leaks, bleeding, infection, and pancreatitis (collectively referred to as technical failures). In one report of 211 patients undergoing pancreas transplant, technical graft failure occurred in 23 (11 percent), most commonly due to thrombosis. Risk factors for technical failure included donor and recipient obesity, and increased preservation time of the donor organ. Later graft loss is more common and is most often caused by immunologic rejection. A transplanted pancreas can be rejected within days or after years of successful transplantation. Attempted rejection of the pancreas is common, occurring in 60 to 80 percent of pancreas allografts. Treatment involves hospitalization and intensive immunosuppressive therapy. The methods used to treat acute rejection of a pancreas transplanted alone are similar to those used to treat rejection of kidney-pancreas transplants. All of these markers are less sensitive than an increase in serum creatinine when there is a concurrent renal allograft. In particular, a rise in fasting blood glucose concentrations is a relatively late indicator of allograft destruction, and increasing serum enzymes, such as amylase, are non-specific indicators of rejection. Although pancreas dysfunction due to autoimmune attack (eg, recurrence of pancreatic inflammation due to autoimmune diabetes) may occur, this is probably a rare cause of allograft failure. Current immunosuppressive regimens can at least partially suppress primary autoimmune diabetes . When rejection is suspected, a cystoscopic guided transduodenal pancreatic biopsy is the procedure of choice . Successful pancreatic transplantation results in independence from exogenous insulin therapy, normal blood glucose concentrations, and normal or near-normal A1C values. These beneficial effects on glucose regulation are the result of restoring pancreatic islet function. Patients with well-functioning grafts have normal insulin responses to oral and intravenous glucose stimulation as well as to intravenous arginine and intravenous secretin. However, basal and stimulated peripheral insulin concentrations are two to three times higher than normal. This hyperinsulinemia is due mostly to the systemic (rather than portal) venous drainage of the allograft. 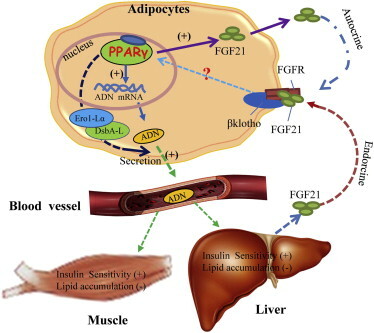 Thus, the hepatic first-pass uptake and metabolism of insulin secreted into the portal vein are bypassed; in normal subjects, 50 to 90 percent of the insulin in portal venous blood undergoes first-pass hepatic degradation. It is unlikely that posttransplantation hyperinsulinemia has adverse effects on cardiovascular risk. The increase in insulin does not have unfavourable effects on serum lipids; serum triglyceride and low-density lipoprotein cholesterol concentrations tend to fall and serum high-density lipoprotein cholesterol concentrations tend to rise in recipients of pancreatic transplants. Glucose counter regulation after hypoglycaemia is improved by pancreatic transplantation. This is an important benefit because patients who have had diabetes for many years before transplantation typically have abnormal glucose counter regulation due to decreased serum glucagon and epinephrine responses to hypoglycaemia. The improvement in glucose counter regulation in recipients of pancreatic transplants is due to normalization of the glucagon counter regulatory response and improvement in the epinephrine counter regulatory response. Recognition of symptoms of hypoglycaemia also improves. Hypoglycaemia as a complication of pancreas transplantation has been reported, but is usually mild . Both cross-sectional and prospective studies have shown that the post transplant improvement in glucose metabolism, A1C values, acute insulin responses to intravenous glucose, and counter regulatory responses of serum glucagon and glucose to insulin-induced hypoglycaemia is maintained for many years. Persistent improvement for 15 years is common in some centres. Renal structure becomes more normal, as reflected by diminished mesangial mass in patients receiving pancreas and kidney transplants versus those receiving a kidney alone and by improvement in native renal structure after 10 years. The velocity of motor and sensory nerve conduction as well as clinical neuropathy stabilizes . Qualify of life studies consistently demonstrate benefits, such as return to work and successful pregnancies. Life expectancy in patients with autonomic insufficiency is dramatically increased . Although initial reports indicated that established retinopathy and abnormalities of gastric motility did not improve, one study did find that retinopathy was more likely to be arrested in patients who were successful pancreas recipients, when compared with those who lost the allograft. Pancreas transplantation may also have an effect on the macro vascular disease associated with diabetes. Combined pancreas-kidney transplantation improves serum lipid profiles and blood pressure without changing body weight in most patients, which might be expected to improve atherosclerotic vascular risk. Atherosclerotic risk profile was significantly better after kidney-pancreas compared with kidney-alone transplantation. Other studies reported a significant decrease in carotid intima-media thickness after pancreas transplantation that was independent of changes in lipids, body mass index, or blood pressure. These findings on the efficacy of pancreas transplantation on diabetic microvascular disease must be interpreted in the light of the fact that most patients undergoing pancreas transplantation have already had diabetes for over two decades. Data are not available from prospective trials of patients undergoing pancreatic transplantation, compared with matched, stage-appropriate control populations.